“We don’t cook with packets,” the mountain outfitter says as he stokes the campfire, a big pot of beef and rutabaga stew bubbling next to the red coals. A metre or so away a peach cobbler is baking in its own bed of coals. “It’s going to take two hours to bake the dessert,” says Brett Haug, who has been cooking feasts in Alberta’s backcountry for decades and is happily sharing some tips at Marmot Meadows just outside Jasper. 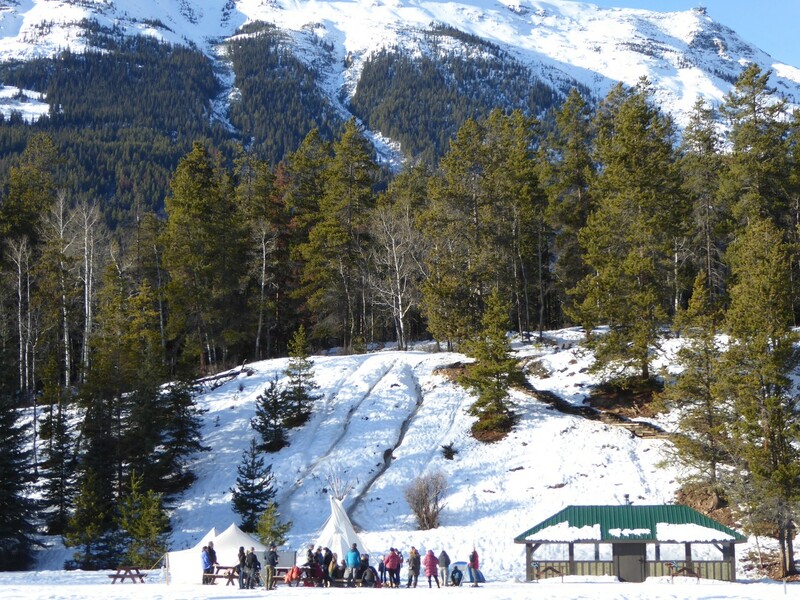 As people on cross country skis and snowshoes enjoy the white blanket of snow, Haug and his colleagues from Wild Current Outfitters are having a sort of ‘backcountry cook off’ with Parks Canada staff to try to encourage more campers to enjoy Jasper National Park in the winter. Once the “little things” are dead, they start ladling water into a packet of dehydrated chili. He stirs it and a few minutes later, dinner is served. They dish it into paper cups for people to sample. 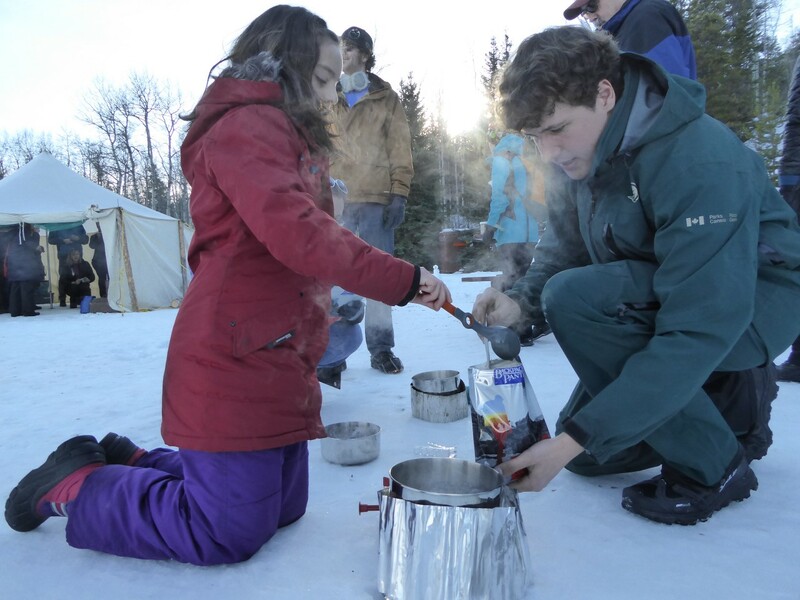 The packets are the easiest way to pack food into the backcountry—they’re light, they’re easy (just add boiling water) and the little girl says the chili tastes OK. But Haug prefers the campfire. “It’s easy to cook this way,” he says. 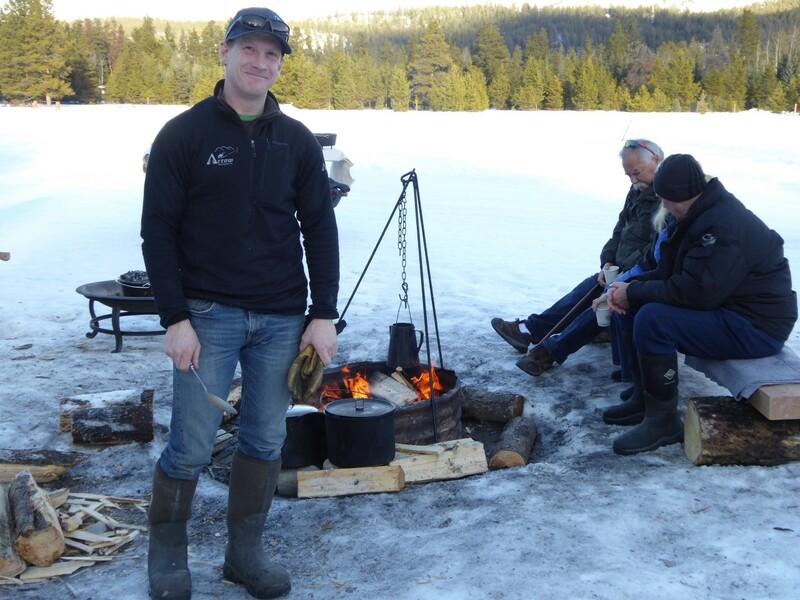 His favourite backcountry feast is fresh caught fish with roasted potatoes and vegetables. If there’s no fish, he’ll grill meat he’s brought along. Whatever’s left over goes into the next day’s stew. It’s more than the menu though. 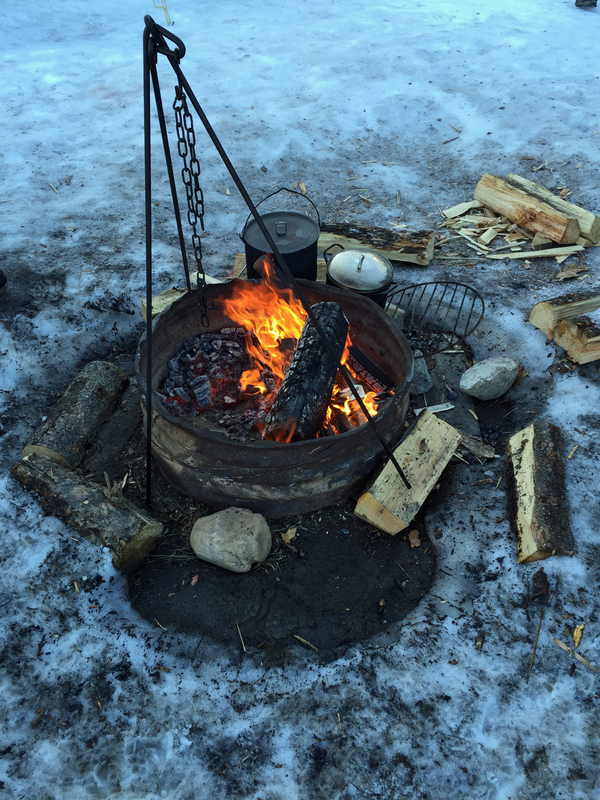 Haug likes the long process of cooking over a fire—from collecting the wood to stoking the coals and stirring the stew. “It slows things down for everyone,” he says. 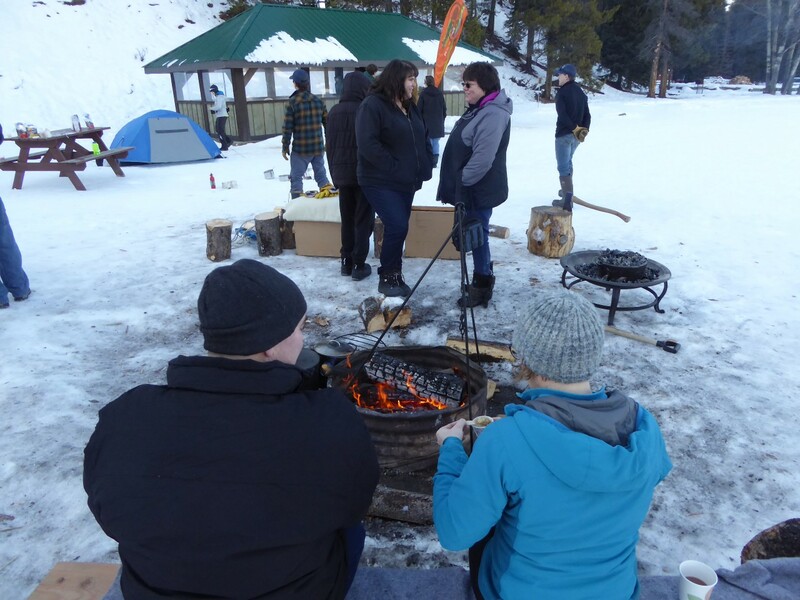 People like the romance of the fire, the cowboy culture it represents and just hanging out together “like a kitchen party.” Sure enough, on this warm winter afternoon, it’s standing room only around the campfire (while the little backcountry stoves sit abandoned on the snow). 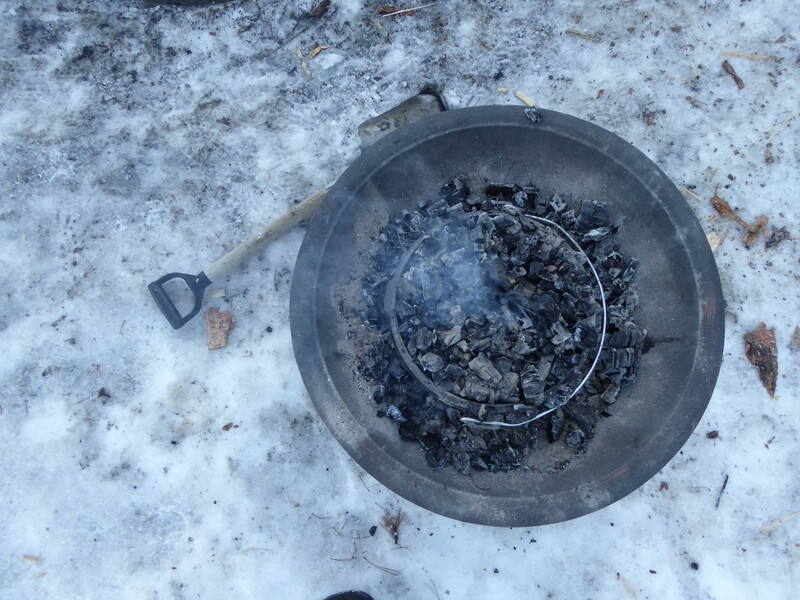 Spoon in hand, Haug offers a few hard earned tips for backcountry cooking. Ditch the extra gear and bring a head of lettuce instead: “Go with minimal gear, just what you need to get by, and bring extras whether its stuff to make salad or the fresh stuff or the goodies.” Speaking of goodies, make sure to bring lots of butter. And bacon. Also pack sea salt, fresh ground pepper and a couple of bay leaves. Jennifer Allford is a regular contributor for Toronto Star travel, writes a monthly column in the Calgary Herald and talks travel every other week on QR77 in Calgary. She pops up at CBC.ca, Swerve Magazine and lots of other places. Jennifer was a journalist in CBC newsrooms across Canada for 15 years before running a couple of big, noisy marketing departments in Calgary (SMED International and the Calgary Herald). She’s been working from her kitchen, or a hotel room, ever since.